Ridley Scott’s Alien in 3 animated GIFs: In honor of Prometheus, our latest Classic Cinema in 3 GIFs. 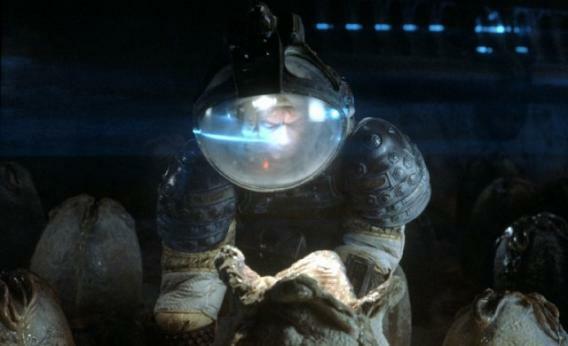 Kane (John Hurt) investigates a mysterious egg in Alien. Photo by Robert Penn © 2003 Twentieth Century Fox. All Rights Reserved. Also in Slate: Read Dana Stevens’ review of Prometheus, learn some of the science behind the film, and seek some advice on what not to name your spaceship. Images from Alien © 2003 Twentieth Century Fox. All Rights Reserved.